Have you ever found yourself in need of a building professional for a home repair or project, but didn’t know where to start? 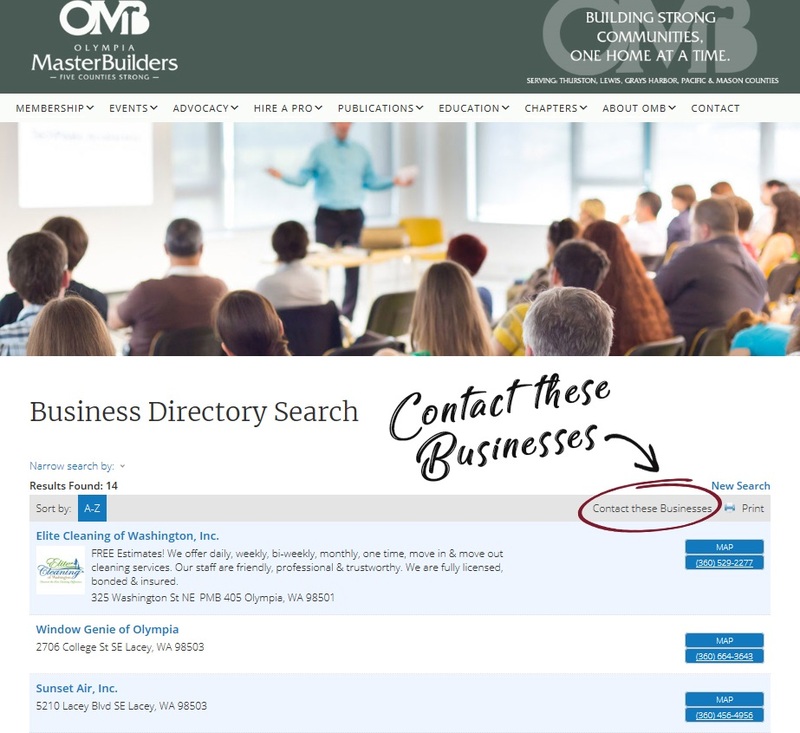 The Olympia Master Builders (OMB) has you covered with a directory that will put you in touch with a reputable professional so you can get your project going with peace of mind. Access the searchable online directory from the “Hire A Pro” tab or button on the OMB home page. 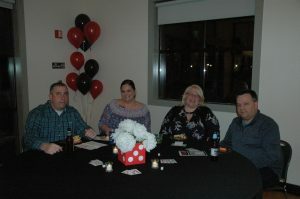 Choose a business category such as cleaners, painting or remodeler, which pulls up all members in that category. At the top of the listings, there is a link called “Contact These Businesses” that allows consumers to put in their contact information, as well as their project details. They may also choose to send the quote request to the entire list or select specific members listed to contact. The quote request is then generated via email to OMB members. It’s as simple as that! “We always advise home owners to check with Labor and Industries as part of your due diligence before hiring,” says White. Verify the contractor is registered, actively licensed, and has bond and insurance on the Labor & Industries website. Customers should also visit the Better Business Bureau website to check if the business has unresolved complaints. And ask the contractor for references for past work and get in touch with those references. Be cautious of anyone that tells you that a contract won’t be necessary. Insist on a complete and clearly written contract signed by you and the contractor. But don’t get pressured into signing a contract immediately. You should not be told that you need to sign a contract that day or risk a price increase. Paying a deposit of anywhere from 20 percent to 50 percent is common. You should not be asked to pay the full cost in advance, before any work begins. Ensure that the final payment is not due until the job is completely finished and you are fully satisfied with the work done. Find out if any of the work requires city or county inspection. Make sure inspections have been completed, with documentation, before you make the final payment. With over 450 active members from all sectors of the building trades, the Olympia Master Builders are sure to have a professional in their organization to help you start your next home project. Check out the Hire A Pro database on their website to get started.